I’ve got kitchens on my mind after returning from the Kitchen & Bath Industry Show (KBIS) in Las Vegas,(January 19 – 21) and you should too. KBIS, in conjunction with the National Kitchen and Bath Association (NKBA) is an inspiring, informative show that showcases the latest industry products, trends and technologies. 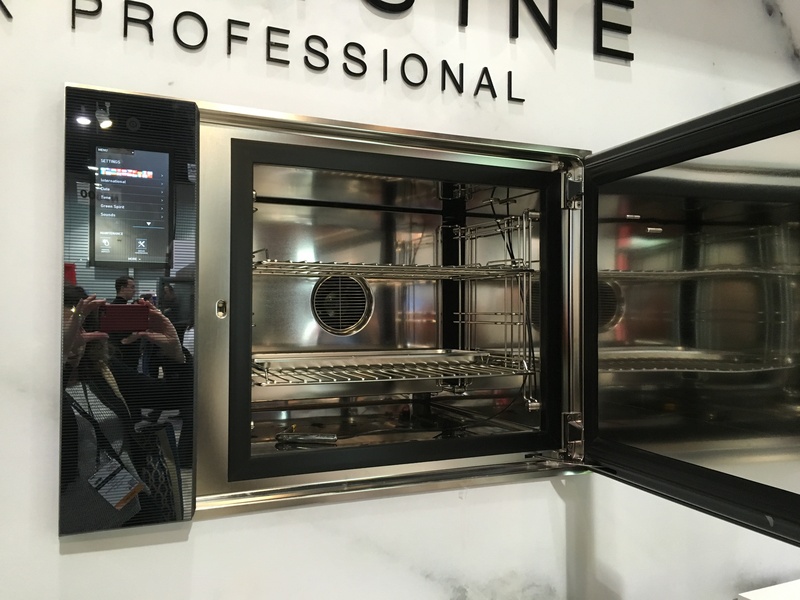 So, I thought it would be apropos to feature some of the kitchen highlights that caught my attention during KBIS. Refrigeration in a drawer: It looks like a typical kitchen drawer, but acts like a fridge. 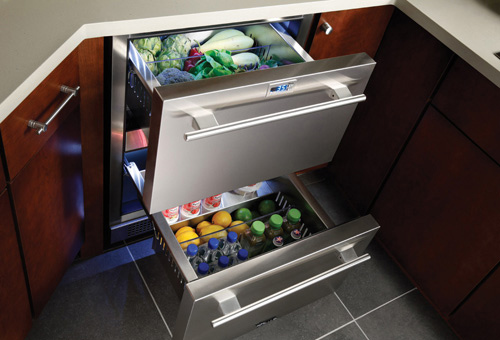 Available in a wide range of sizes, these under-counter, camouflaged coolers can store all the usual perishables or replace the produce or deli drawers in your fridge. 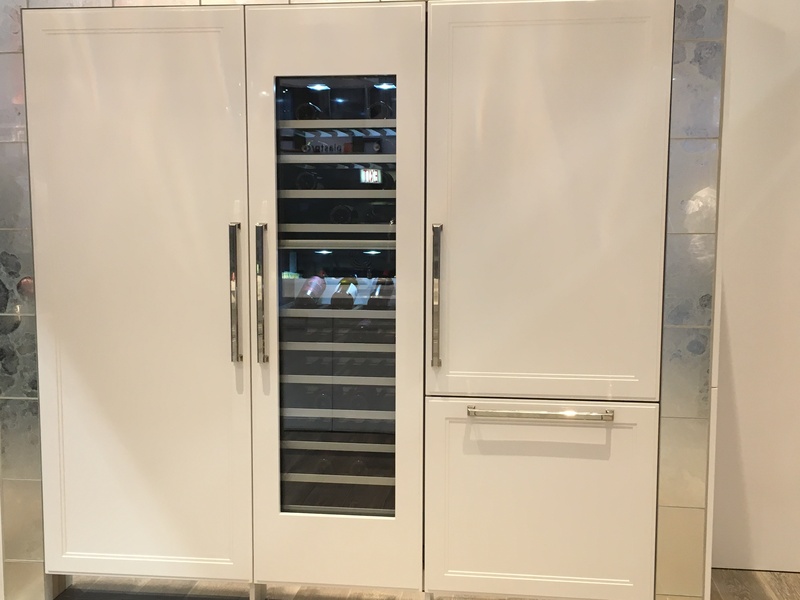 • Culinary preservation centers: The picture of versatility, this all-in-one unit becomes the centerpiece of the kitchen, with one or more refrigerators, freezer, and even a glass-paneled wine fridge. Custom doors can blend in with the kitchen cabinetry. • Blast chillers: The cooler cousin of the refrigerator, the blast chiller can make a bottle of champagne icy cold in 20 minutes, and by reducing food temperature from 70 degrees to 37 degrees or less in 90 minutes, it can effectively stave off bacteria growth, so you can place hot leftovers inside without letting them cool first. 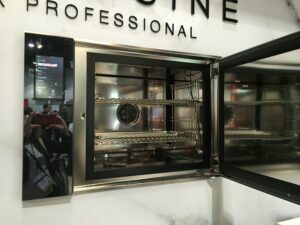 • Steam convection ovens a big hit: Intelligent and versatile, these ovens give the home chef ultimate flexibility, combining steam and convection cooking to deliver great meals or breathe new life into leftovers. 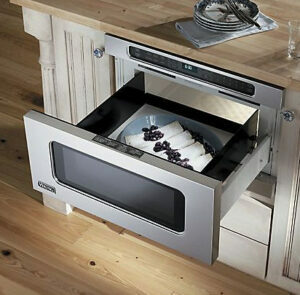 • Microwave in the drawer still a crowd pleaser: They may resemble traditional microwaves on the outside, but their pull-out design awed showgoers, and allows top loading of food and beverages. They also free up counter space, or overhead space for an oven hood. • Ovens that open like a door: Why’d this take so long? 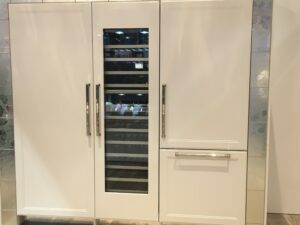 Instead of a pull-down door causing you to crouch over your oven rack, this novel design allows much easier access as it opens like a standard door. No bending required. 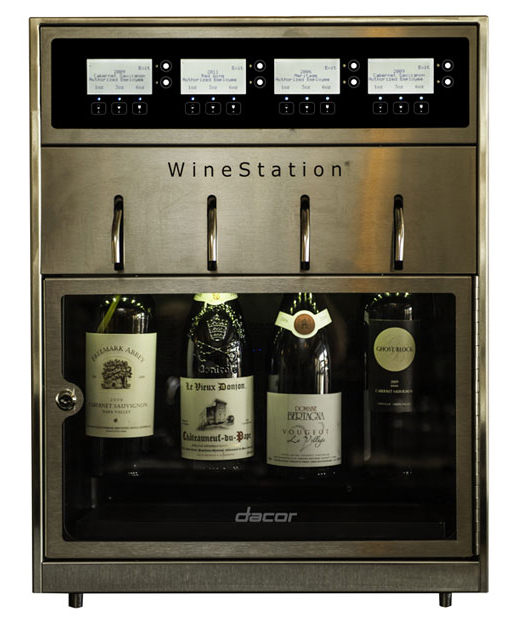 • Wine stations: A great addition for any oenophile’s kitchen, this gadget lets you store your open bottles so they remain chilled, fresh and pourable at the touch of a button. And they’ll keep for up to 60 days after opening. Elegant Interior Designs can incorporate any of these state-of-the-art products into your kitchen upgrade. Let’s talk!